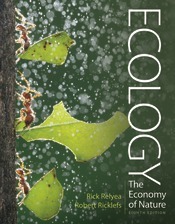 This landmark text helped to define introductory ecology courses for over four decades. The text maintains its signature evolutionary perspective and emphasis on the quantitative aspects of the field, but it has been improved for today’s undergraduates—with extensive new pedagogy, including Learning Goals, Concept Checks, fresh examples and fully integrated media resources. Students will especially appreciate the new video tutorials that accompany the Analyzing Ecology essays.